What’s the classic thing to do for a typical nerd from a TV-show or movie? That’s right! He’s an avid comic book reader and the comic store is more or less his second home. However, this gives people a distorted image of comics and the average comic book reader. Because comics are cool! And it’s not only the massive success of comic book movies in box offices worldwide that proves it. Who in the world has never heard of Superman? Don’t tell us that a random little boy wouldn’t completely explode of enthusiasm when he gets a Spider-Man costume from dear Santa. Heroes are awesome! Everybody dreams of having superpowers! 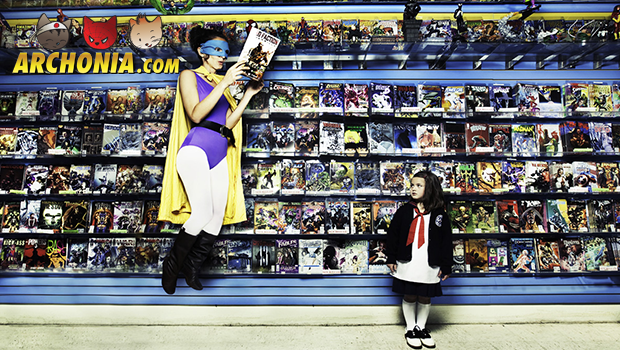 Still, in popular media, comics and comic book stores resonate that nerdy vibe. Below are 5 reasons that prove this image wrong and show you that comics are indeed very cool! Why is it that the most popular / talked about movies are adaptations of comics and its stories? 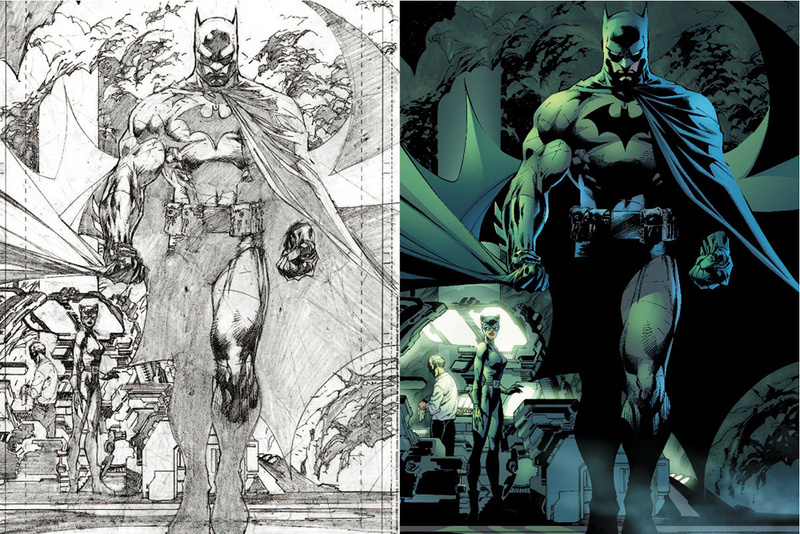 It’s simply because the original comics provide endless inspiration. The stories in comics reach a large audience, mostly because of their diverse, deep and entertaining contents. There’s a suitable comic for everyone that fits your particular interests, hobbies, beliefs etc. Still, maybe 1% of all these beautiful comics is adapted to a movie and/or TV-show. When just looking at the well-known Marvel movies, we have only seen the tip of the iceberg. Then, how cool is it to read the comics and acquire awesome new insights in the massive supply of different stories that play out in the already known universe of that particular comic. Just think about reading Spider-Man’s complete history. Think about already knowing what’s going to happen in the next Avengers movie. And what about all the side-stories and interesting characters that come with it? That’s a huge step ahead on people who quietly wait for the next movie to come out! Comics allow the artist and author to really address certain topics. They make sure that heavy topics are something to keep in mind and through the wonderful medium of comics they’re displayed in a light-minded manner. This makes sure that recent and relevant themes (e.g. war, disease, commercializing) can be discussed. Next to the beautiful images and exciting stories about Hero X against Villain Y, there is room enough for relevant themes that make you think. Talking about a good way to win discussions with your parents/friends/colleagues with your comic book reading experience! Next to the many different stories, comics are well known because of all their beautiful artwork. It’s possible to take the word ‘comic’ in its broadest form, but right now we just mean the comics which can actually be purchased. Not those in the daily newspaper, which can be read in 3 seconds. 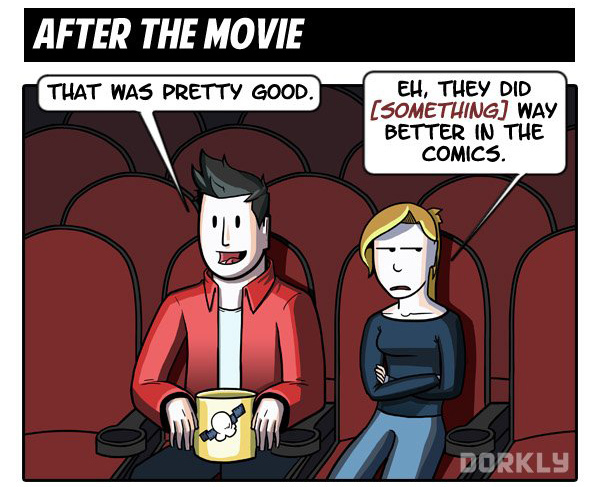 Comics offer a nice reading experience but moreover they also provide a comprehensive watching experience. The artists really put effort into creating pieces of art, and that really shows by the wide popularity of certain comic styles. It’s probably not that common to see a comic hanging on a wall in a museum. However, the art is really something that is appreciated by a lot of people. From comic enthusiasts, to admirers of art in general. First sketches of certain comics are actually auctioned for insanely high prices by comic collectors. Next time you open a comic, you should probably keep this in mind. The huge amount of different stories in comics is something that must absolutely speak to the imagination. The most bizarre scenarios, characters and locations are found in comics. The combination of the intriguing stories and beautiful images is something that inspires many. There are even some comics that contain such touching stories, that they make you change the way you think about certain things. Some stories contain scenarios of which you’ve never thought they would be possible. They might contain predictions for the future, which might turn out to be true. You can really put your imagination to work and get inspired by all the amazing superhero tales. No matter how you look at it, comics are a form of literature. And what can possibly be bad about the fact that reading comics gives people the drive to read even more. Truth be told, some comics are not that profound on the linguistic aspect and can be compared to the print equivalent of a TV-soap. However, there are a lot of comics that prove otherwise. Some comics are true pieces of high quality literature and can’t be put off as “just a simple story with pictures”. There are a lot of comics that handle deep subjects and make you think. Comic-haters might say: “Yes, well, that’s kind of easy, a story consisting almost completely of pictures.” Though we would really advise these people to dive into the world of comics and pick up a few outstanding stories. After reading some comics that are true works of literature and art, they might revisit their verdict about comics. As you’ve read before, there are a lot of reasons to imagine why comics are indeed cool. The great diversity of stories and different comic styles will undoubtedly make sure you’ll find a comic that fits to your interests/wishes.